THE CESSNA 170B currently being developed, will be the staple first release of VFR Simulations. For this product, we have dug deep, and are intending to offer both the flight simulator, and general aviation communities a premier add-on, raising the bar in it’s quality, accuracy, and longevity. Since we’re not publishing screenshots just yet, here we’ll highlight some of the items that will be of interest. IT’S OUR PLEASURE to announce that we are working with several of the world’s leading aircraft parts suppliers, which hold STC’s for the Cessna 170 aircraft. We’ll overview some of these companies, and how their product will interact with the C-170B for flight simulator. The’ll be more news on this in the coming weeks, as we’re expanding to partner with each STC holder, and part supplier, who’s products will be featured within the 170+Sim package. Founded by Gerd Muehlbauer in 1981, and is based at Straubing-Wallmuehle International Airport in Germany. (EDMS) MT produces some of the worlds finest composite aircraft propellers. Is the World’s largest distributor of MT propellers, and also holds the STC’s which are currently available for Cessna 170’s, powered by Lycoming (I)O-360 engines. 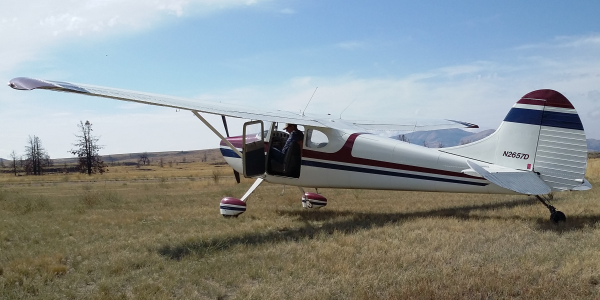 John Nielsen is a managing partner in Flight-Resources, owns a Cessna 170B, and is providing very useful data collection for the VFR Simulations product. BOTH MT, and Flight-Resource are working with VFR Simulations, to accurately replicate the performance of both their 2-blade (MTV-15-B/ 210-58), as well as their 3-blade (MTV-9-B/200-52) application for the Cessna 170B with the Lycoming (I)O-360 conversion. This means we can utilize actual mathematical data on the engineering of the propeller, and incorporate that data into the physics model of the simulator, to maximize realism. 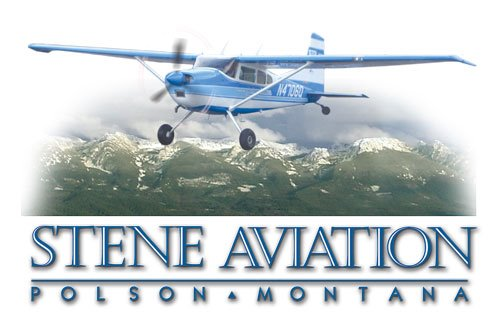 LOCATED in Polson, Montana, Stene Aviation has been manufacturing composite Cessna parts since the early 1990’s. Their supply list is large, including wing tips, wheel pants, tail-cones, strut cuffs, rudder caps, fin caps, elevator tips, and horizontal tip fairings. 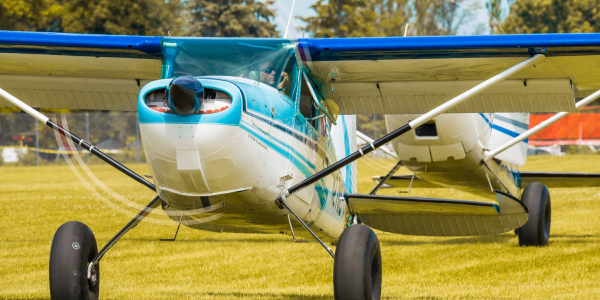 One of their best selling units, however isn’t composite at all, but rather a wing-cuff design called the SPORTSMAN STOL kit, which radically changes changes the Cessna 2412 wing airfoil. Originally designed by Marvin Davis, Lockheed Skunkworks engineer, the MD-1 airfoil is a leading edge cuff that was originally fitted to a Cessna 170B. The results were spectacular! The kit adds wing area, greatly decreases stall speed, allows softer stall characteristics, comes with virtually no drag penalty, and increases safety. Mr. Davis passed away, however his design did not, as Marshall Quackenbush built the design to it’s full potential, installing it on many Cessna wings. Stene Aviation now owns the production rights, as well as the STC for the modification. OWNED and operated by Alan Quakenbush, son of the late Marshall Quackenbush, QAeromotive is located in California City, and is one of the primary installers of the Sportsman STOL kit. Alan also owns a 170B, and a Cessna 195. BOTH Stene Aviation and QAeromotive are in support of VFR Simulations, providing us with valuable resources to accuratley model the Sportsman STOL kit both visually, and within the physics of the simulator model. The kit will be featured as an option, so that the user can see and feel the difference. There are a number of benefits, of which will be fully explored in the C-170B simulation. FOR THOSE who enjoy good eye candy, the 170B will not disappoint. We’re using the latest version of a very advanced modelling software called Blender. The Blender Foundation has been a pioneer in the open-source 3d modelling world for some years, and continues to grow it’s fan base. In it’s simplicity, it’s both a CAD design software, as well as a CGI studio. 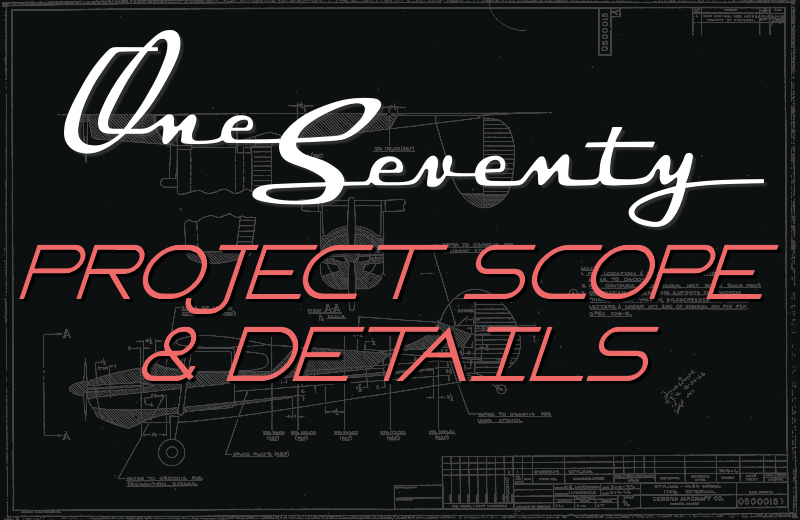 In combination with first hand references, this allows each and every part of the 170B to be meticulously modeled to accurate scale and dimension. Not only that, consider that many actual aftermarket parts are designed and built around CAD drawings. These drawings can be imported, converted, and utilized in the simulated model of the aircraft. Animations are being re-thought as well. Like the gear legs, which are essentially leaf springs. The 170B features several options for gear legs, each with their own characteristics. With Blender we can animate this spring steel to operate, and look exactly correct within flight simulator. Also, those big rubber tires… Every see a bush plane land, and see how those big tires absorb the weight of the aircraft? With Blender, we can animate this properly. One of the most exciting things we’ve experienced while modelling the 170B, is the ability to include an immense amount of detail within the mesh of the model, and to optimize that detail to render with virtually zero performance loss. This means we can display a greater level of fidelity, and yet maintain our composure! Just wait until you see the reflection off those 3d rivets and screws! The tools, through Blender, that are being employed, are too many to list in this post. However, we’re very excited to be one of the first developers in the flight simulator industry, to exploit these features. THERE’S JUST SOMETHING about being out at the airport.. Airplanes just sound, SO COOL. 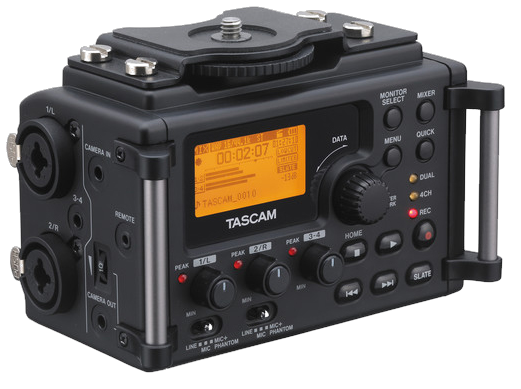 That’s why all of the audio recording for the Cessna 170B is being done to professional standards. Boom-Mic recording in all 360 degrees surrounding the aircraft, at every RPM range, allows us to collect all of the richness of the sounds externally. Similarly, using 3d stereo recording inside the cabin, we can replicate the very sound that you would hear, from inside the actual aircraft. Want a more muffled sound from inside? Put on your headset, and the whole experience changes. As you’ll read below, the 170B comes with several engine and propeller options, and just like the physics behind each of these selections, the sounds are being tailored to each selection as well. We know it’s not a P-51, but nevertheless, the audio works in this 170B will not let you down! Literally hundreds of audio files are being mixed and mastered, to put your ears where they belong, when flying the C-170B. WHO can attest to the performance, and characteristics of a Cessna 170B? Those who have owned and operated the aircraft, on a regular basis! That’s why we’ve personally interviewed over twenty 170 owners and pilots, gathering valuable data. This data is cataloged, and channeled into the underlying code, and flight model of the simulated aircraft. We’re determined to get it right. That’s why we’re letting the pilots dictate the physics. Each PIREP is different, because each aircraft has been flown under differing circumstances, and situations. That’s why it’s so critical for us to catalog the big picture, rather than studying just one aircraft. Also, with the 170B having such a vast amount of potential modifications, every aircraft has it’s own qualities. We’ve also personally surveyed over half a dozen 170’s, collecting resources, measurements, and photos. This data collection is very deep, and unprecedented in the flight simulator development industry. FURTHERMORE, we’re studying the make-up of the 170B. Each and every system of the aircraft must react in a realistic, and accurate manner. We’re writing our own code, to ensure that the integration of instruments, engines, propellers, and more, is a seamless transition into the immersion of the simulator. We want zero hiccup with the systems and coding, and this is being accomplished by keeping that code as streamlined, and efficient as possible. We’re not building a damage mod for the aircraft.. Rather we’re digging deeper into the guts of the 170, and producing an add-on that our supporters can stand behind, as being an authentic, true to life, simulated representation. It’s very important to us, that the actual owners, mechanics, and parts suppliers of Cessna 170’s, can fully endorse the final result. 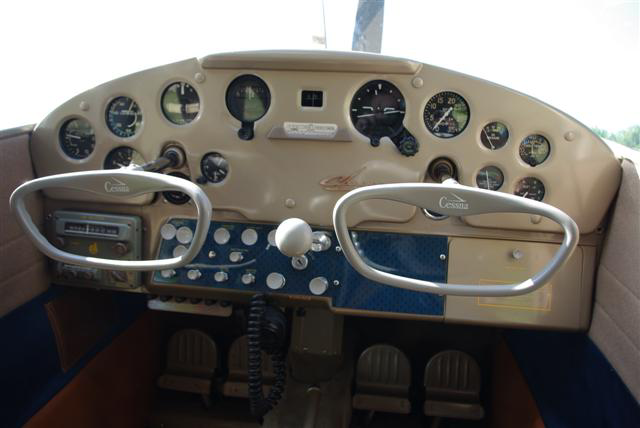 MANY have asked about the use of an era-specific cockpit, in the 170B project. We answer – certainly! What would the Cessna 170B for Flight Simulator be without including a variant, that’s fresh from the factory floor in Wichita. That’s why we’re building the base model, precisely configured just the way she was originally. Right down to the upholstery, and engine color, and that old fashioned navigational equipment. We’ll be providing more information on this later. However be assured, the nostalgic factor is not being ignored! RAISING the standard, one of the most exciting features that we’ll be including, is the ability to fully customize your Cessna 170, with a quick and easy user interface, coded to interact with your product in real time. Engines, propellers, landing gear legs, tire sizes, floats, wing modifications, visuals throughout. The whole bit. Each change effects the characteristics of the aircraft. So the user is literally mixing and matching components that are common to real-world 170’s, and then able to fly the aircraft, feeling the difference that each modification provides, whether positive, or negative. There’s over 300 different combinations, so it’s really up to you to decide what best suits your flying needs. ALSO; learn how each of these modifications work in the real-world. Including price vs. performance comparisons, and pro’s & con’s. One modification might work great in the back-country, but maybe it will effect your cross country performance? Or maybe you’ll burn more fuel? Everything’s being hard-coded into the product, to deliver a truly unique educational, and entertainment experience.